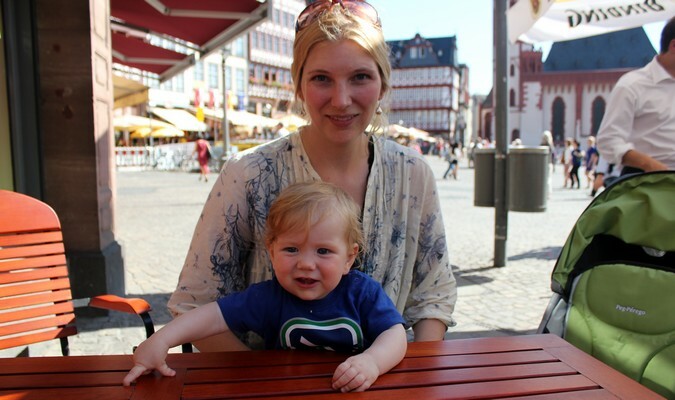 Every month, Cameron Wears from Traveling Canucks shares his tips and advice on how to travel better with your kids. This is an often-requested topic so I’m excited to have him on the team! If you’re a parent making plans to travel with your family, there’s a good chance you’ve already come across plenty of nay-sayers, or perhaps you’re facing your own self-doubts. Here are some myths about traveling with your family. 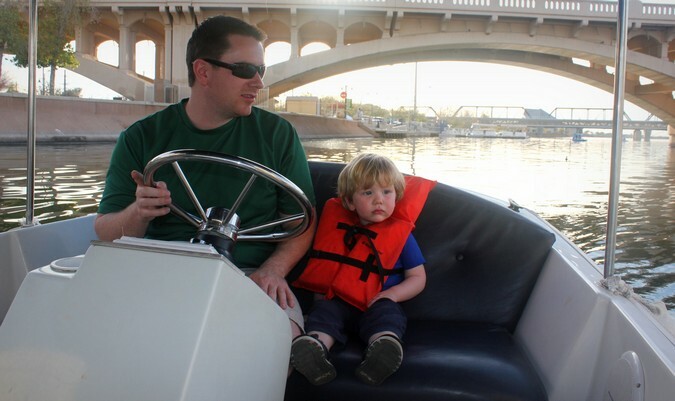 Before having kids, we didn’t spend much time thinking about what travel would be like with little ones. We knew having kids would be a big part of our future and, like many newlyweds, we mistakenly assumed our days of travel would be put on hold when the babies arrived. Over the past few years, I’ve heard many reasons why it’s not a good idea to travel with young children. It was the common wisdom of those around us. “Once the kids arrive, don’t expect to travel anymore,” they would say. And so my wife and I internalized this line of thinking, but I realized I was listening to the wrong people. 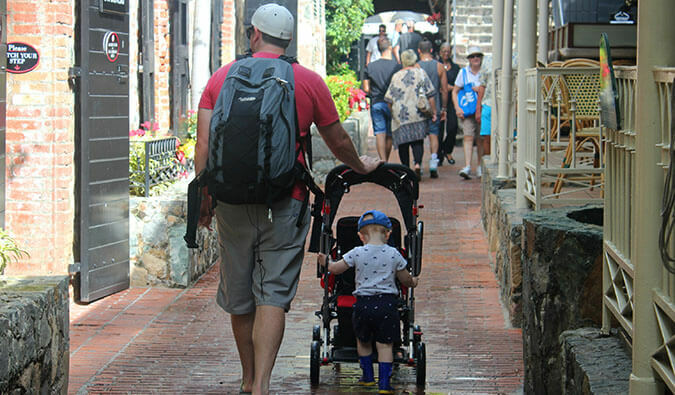 While I can appreciate that some families are simply not in the position to travel, most of the reasons people don’t travel with their children are based on outdated conventional wisdom and conflicting information online and in the media. Today, with the help of a few family travel bloggers, it’s time to shoot down those common reasons why people delay family travel. You should wait until your child can remember the trip. Sure, your kids won’t remember every detail about your travels, but let’s be honest — most adults struggle to remember what they did last week. I don’t remember every detail from my trips, but I still appreciate the overall experience. Without question, our travels are influencing our boys and shaping who they are and who they will be. I understand that when they’re teenagers they won’t remember many of these trips, but every trip we take teaches our boys something new about themselves and the world. It would be such a shame to put all of those impactful life lessons on hold for 15 years, just because you want your kid to remember what the Eiffel Tower looks like. Traveling with kids is too difficult. The biggest mistake new parents can make is to travel the way they did before having kids. Life is different now, so you have to change your expectations. You can’t stay out late partying at nightclubs with a baby, and you can’t scale the side of a mountain with a baby on your back (well, maybe you can, but I wouldn’t). Times have changed, but that does not mean you have to stop traveling. It is possible to have kids AND travel; you just need to plan ahead and slow down. There are plenty of families out there who travel all the time — listen to what they have to say about family travel instead of the naysayers who say it’s too difficult. It’s too hard to travel with a baby. We couldn’t fathom taking our newborn baby on a long trip at the time. We took a couple of short road trips to test the waters, but didn’t board a plane until he was three months old — but babies sleep a lot. They don’t crawl, they don’t walk, and they don’t do much of anything except eat, poop, and sleep. 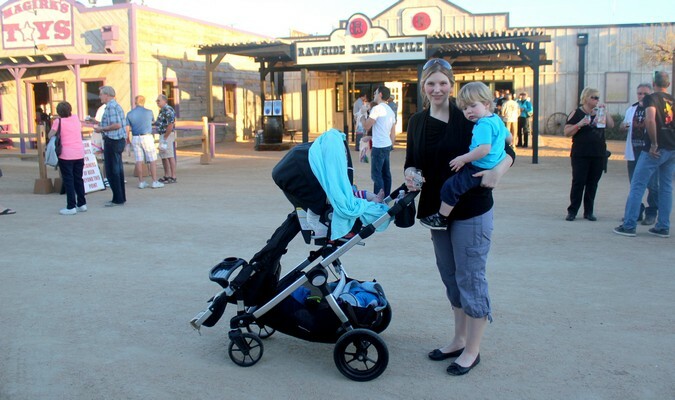 Traveling before your baby is mobile is actually the BEST time to travel with your baby! When babies get older, they become more active, inquisitive, and demanding. We’ve found the hardest time to travel is between the ages of 12 months and 18 months because they just want to move and they’re difficult to reason with. But babies aren’t as hard to travel with as you imagine. Babies and children are terrible on planes. Some children behave poorly on planes — but so do some adults. We can’t label all children as dreadful flight passengers just because a few children have a hard time being confined to a seat. Out of 30 flights we’ve taken with our boys, only one is filed under the “terrible flight” category. Babies less than 24 months old fly for free on most airlines, so we thought we’d save some money and have him sit on our lap. He was 18 months at the time, so we thought this would be fine. He wasn’t having it. Lesson learned. Most children are fine on airplanes as long as you keep them entertained. We prepare by bringing plenty of snacks, toys, and games. We have their favorite shows downloaded on our tablets, and they have noise-canceling headphones so they don’t disturb our neighbors. Moreover, whenever possible, we book direct flights and choose flight times that coincide with nap schedules. 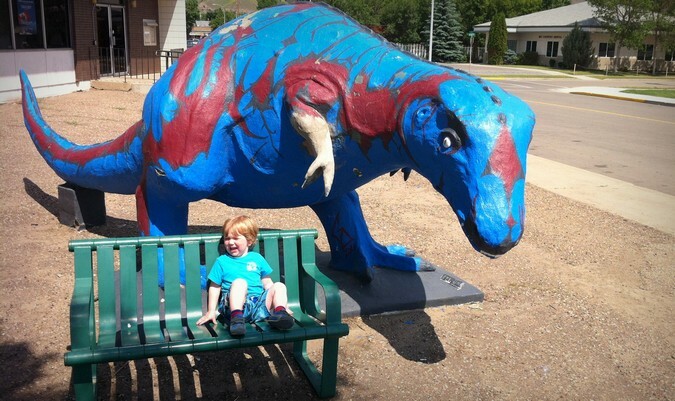 You have to visit destinations built for kids. Having kids does not mean you’re sentenced to a life of prepackaged vacations or theme parks. Far from it — but you do need to include activities that your children will enjoy, otherwise nobody’s going to have fun. 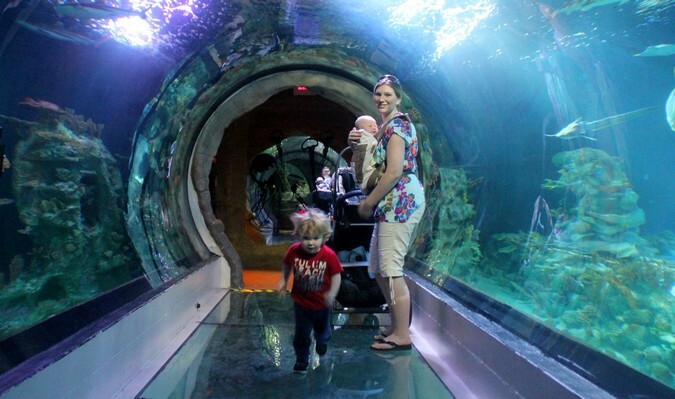 When we went to Arizona last year, we enjoyed visiting the Phoenix Zoo, SEA LIFE Arizona Aquarium, and Rawhide Western Town just as much as our boys did. Keep in mind that all destinations have child-friendly activities. You don’t have to stick to theme parks. There are museums, play areas, aquariums, and parks. You have to pack so much stuff. Yes, it’s true, traveling with little ones means more luggage and bulky items like strollers and car seats. Yes, you will most likely be required to check your bags and pay the additional baggage fees. But it’s only a temporary inconvenience. Once you check your bags at the airport, you no longer need to worry about them. When you arrive at your destination airport, grab a buggy for your luggage or ask for help. Traveling without a partner? Why not hire the services of a porter? Instead of taking a taxi or bus, consider renting a vehicle directly at the airport. By renting a vehicle, you only have to set up the car seats once and the headache is over (instead of the alternative, which typically requires setting up the car seat several times per day — not fun). To reduce the weight of your luggage, consider booking accommodations that have an in-suite washer/dryer or laundry service. Being able to wash your laundry means you can pack half of what you’d normally take. 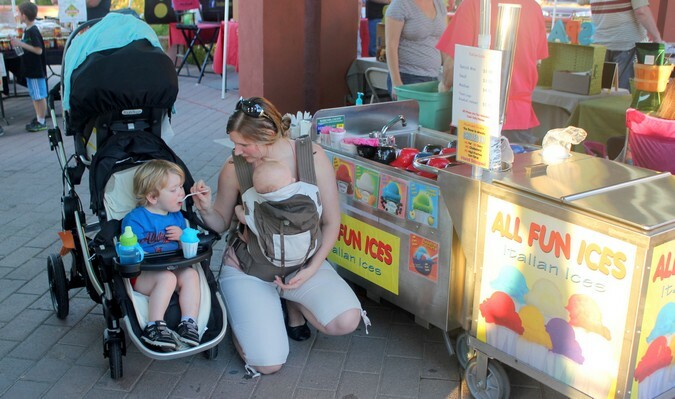 You can also rent baby equipment, like strollers, cribs, car seats, and high chairs, at your destination. This service will cost you more, but it will significantly reduce your load. Traveling with kids is too expensive. Traveling with kids is certainly more expensive than traveling without kids, but that doesn’t mean it’s too expensive or unattainable. 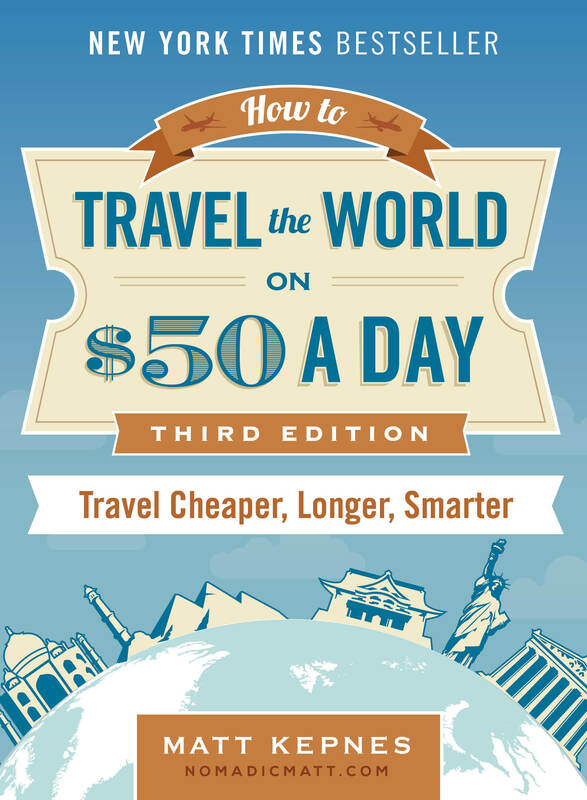 If travel is important to you, there is always a way to reduce costs and make it affordable. There are plenty of ways to save money on travel. Family travel is no different. I shared some tips on saving money on family travel in a longer and more detailed post. Family travel is not something to fear or avoid. You do not need to put travel on hold just because you have kids — far from it. Your children will only be children once. Before you know it, they’ll be awkward teenagers that don’t want to spend time with mom and dad. There’s no better time than right now to experience the world together as a family. Cameron Wears is one half of the duo behind the award-winning Canadian travel blog TravelingCanucks.com. 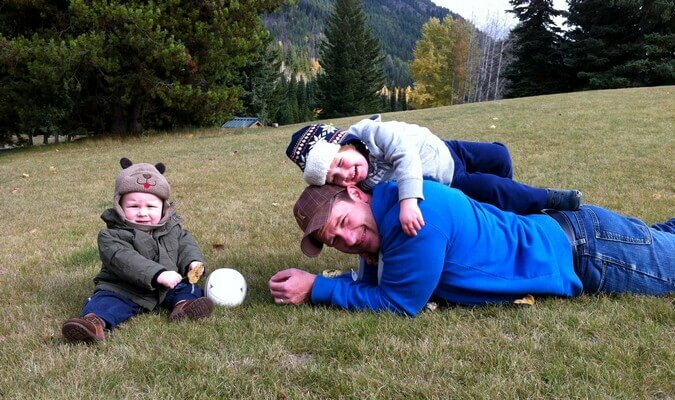 Having traveled to over 65 countries and territories on six continents in the past eight years, he now lives in beautiful Vancouver, Canada, with his wife Nicole and their two young boys. You can follow their family travel adventures on Google+, Twitter, and Facebook. What you say about kids remembering their travels really hits home! I have so many great memories of traveling as a young kid, and even though some of those memories aren’t full or complete, or I can’t quite place where they happened, they impacted me in a great way. I have to believe that is partially why I am so passionate about traveling and so comfortable doing it. Thanks for the thoughtful post! We’ve been preaching this to our friends since we had our first child nearly 5 years ago. She spent two months in Europe at 13 months old (Greece, Spain, Belgium, and Italy) as a walking toddler. 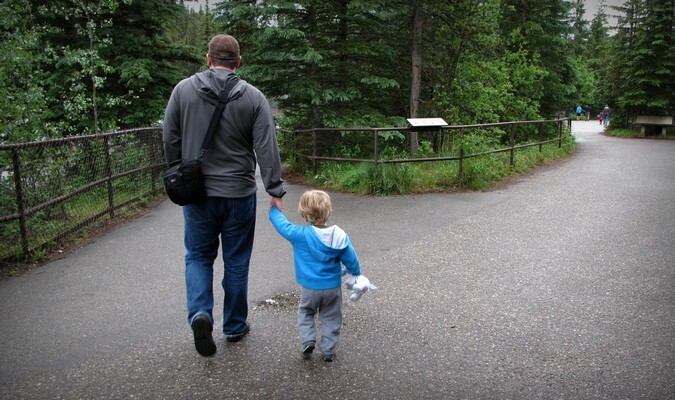 At two she hiked Machu Picchu (technically she rode in a backpack while Daddy hiked…) and at 3 it was back to Europe for Paris, Stockholm, and Krakow. She’s nearly 5 now and still remembers parts of Peru (particularly when she got bit by a rabbit) and comments every time she sees the Eiffel tower. She’s already excited about our next trip to Spain. It is true that you’ve got to spend time planning kid friendly activities, but every county has kids so those opportunities are everywhere. Some of our most meaningful interactions with locals actually occurred at playgrounds (plus, testing out your broken Greek on a kid seems less intimidating). Our best advice by far is to rent an apartment (we’ve even rented apartments with kids rooms already stocked with heaps of toys!) and try to stay put a bit longer than you might have as a solo backpacker. We find 5 days to be a comfortable minimal stay. Less time unpacking and less pressure to make everyone miserable by trying to do it all in limited time. Wow – Machu Picchu with a toddler! I tip my hat to you! Great point about renting apartments instead of hotels or hostels. We’ve also embraced apartment rentals on recent trips – it’s so much more convenient and economical. We also shoot for 4-5 days minimum in each destination. It seems to be just the right amount of time, without feeling rushed. Totally agree. We have taken holidays abroad since our daughter was 1 year old. She was 4.5 when we travelled South East Asia (she’s almost 6 now) and she remembers much of the stuff we did there. We even climbed Batu Caves in KL. I only had to carry her for the last 20-30 steps. I always thought that traveling with kids would be a lot harder, but after reading about it I can understand you just have to adjust to the situation. Like you said you can’t go out partying or stay up all night. It is awesome that your kids remember their travel, I think that is a great way to grow up. Traveling while they are so young will teach them so many incredible things about the world. As someone who hopes to have a family in the near future AND continue to travel, this article was massively inspiring. Even if your kids don’t remember early trips, you’ll remember it! You’ll remember that special time that you had together when they were teeny tiny and that’s worth it. Love the Traveling Canucks! Great post! Things have changed so much to make traveling with children easier. You are right that you need to go to places where there are things that your children will enjoy. I remember when Las Vegas was a place for adults only. This has changed and is now more of a family vacation place. There is so much to do there with children now. This is the same in so many places like some of the types of places that you mentioned. Sometimes I feel strange enjoying some of these places if I am traveling without children and wish I had a child so I could enjoy it with them. We were struck with the travel bug before the kids were born and made the decision before their arrival that we would throw out all the ideas others had a bout travel and just follow our instincts. Our kids have been frequent fliers since their birth; have travelled to destinations that they barely remember and have have tried cuisines that we can’t find locally. In all, even those adventures which they can’t really recall, each adventure has expanded their vocabulary and strengthened their beliefs about global communities. Just do it! Thanks for the great article. I will say, though, that traveling with older kids gets a little more problematic and I would really like to see more articles that address traveling with school-aged kids (7 years old +). Our two sons are now 13 and 15 and we’ve taken them to Europe two times using Frequent Flier miles and staying in apartment rentals. It was definitely easier when schools didn’t make much of a fuss about pulling your kids out of school for a 10-12 days in the spring. (They were 5 and 7 the first trip and 11 and 13 the second trip.) Also, it was definitely less expensive (and crowded) to take the family to Europe off-season: our FF miles went further and rentals were less expensive. But now our 15 year old is a sophomore in high school with tough estrictions on attendance. We’re forced to travel during high-season (summer or winter holiday) rates. It’s also difficult to justify an overseas trip when you only have 1 week available during spring break or when you have to choose between spending the holidays with family or spending the holidays on a trip. I’ve even posed this question: do you want Christmas gifts or do you want to go to Europe? Not surprisingly, they want both…plus the family understandably wants to see family at the holidays. Also, older kids eat more, require more sleeping space, and there are less child discounts available, so travel overall becomes more expensive. But we’re not giving up! We’re still amassing FF miles and reducing our budget to squirrel away money. Our kids love to travel and the experiences and memories make all the sacrifice worth it. Still, I’d love to hear from other travelers with older children on how they manage to keep traveling as a family right through high school. Great post guys! And I totally agree that travelling with children is so cool. I have an almost-13-year-old son and we started travelling with him when he was 3 months old. 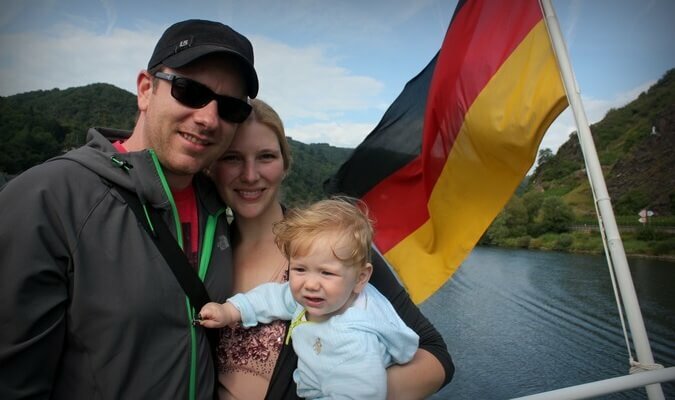 Our first trip was 6 weeks around Germany. By the time he was 5, he had already been to 28 countries! In my opinion, the younger they, the easier it is. I breastfed my son for two years, we made all our own organic food with a blender, stuck everything in the car, and away we went. We took him to Egypt when he was 2 years old. Everyone was lovely and helpful and of course, they loved kids. In order to supplement his diet, I brought organic stuff from Germany and also asked that everything be 100% boiled in hot water, and they were great. We took 12-hour long train rides and I always had games, songs, memory cards, CD’s etc with me and we used to play games about things that we saw on our journey. Oh, and I sang a lot. Loudly! I got a few funny looks but my baby was smiling, happy, and healthy so what did it matter LOL! Nancy, it’s true that as the kids get older, things get a little more difficult. We were lucky in that our son went to international school so it was easier to take him out to travel, as many of the children had parents moving to Hong Kong, Switzerland, or back to the States, etc. (I’m British by the way). Although our son is not yet 13 he’s now in Grade 8, and since we moved to an elite German school they are much stricter and so we’re not allowed to do that anymore. We have to work it out as other parents do. Sigh! I get creative and use ALL the school holidays and weekends. I book wherever we want to go at least 1 year ahead. Unfortunately, unless you’re going to Asia, this is not the time to wait until the last minute if you’re travelling in peak season, and YOU want to choose. In 2011, we went to America in the winter holiday not Christmas (He was still in his international school so I managed to negotiate 1 week on either side plus took all his school work with us). In 2012, we went on a 3-week vacation to Tuscany. In July! I booked 1 year ahead. Got flights for €100 each. Book a car for €20 a day and our highest cost was our 250 year old hotel in Pisa. A family suite at €52.00 a night! In 2013, we went to Scotland. I booked the train tickets and flights 6 months ahead and went in the Autumn break instead of summer as Britain is crazy in the summer. In 2014, we went everywhere including Thailand, Indonesia, Qatar and Korea. In the summer holidays. Planning took 2 years and I used the Student Travel Agency (STA) to get us good flights. They did. €800 for a flight Berlin-Bangkok-Bali-Berlin. In August! I booked all the various hostels, boutique hotels, and rented houses online myself. The highest cost. A duplex house in a rice field in Bali at $100 per night. We were there for 2 weeks. Most of my travelling experience has been travelling with family, and I can honestly say it has been one of the main reasons I am travelling now I’ve finished school. We have taken some amazing trips, including staying on a remote Fijian island and travelling across Vietnam in a minibus. I’m sure it’s not easy for parents, but as a child of a well travelled family I think it’s very beneficial and has a huge influence on children. Very good article! I am a french traveling mother of 3, who loved to travel as a family 🙂 I must admit that I travelled less with my kids when there were toddlers (mostly because of sanitary matters that I was stressed about…). Anyway it’s really a great experience! 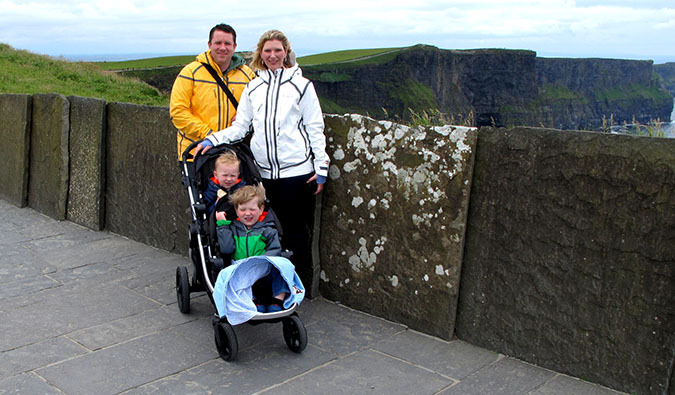 I recently launched my own family travel website (click below! ), you can check out for nice and updates tips and advice about Rome with kids, where I currently leave, Venice, Paris, Barcelona… I wish you all lovely family trips! This is a a great post Cameron – thanks so much. The kids not remembering the trip is the one people keep telling me about. We took our two year old to Europe (from Australia for four months) and EVERYONE said to me ‘it’s a pity she won’t remember it.” We are now on a nine month trip through Asia with our now seven year old and three year old and everyone I meet says “It’ll be good for the older one, but the younger one won’t remember so much”. I try to explain that it’s not the point. The growth and development I have seen in our son (three) over the past three months we have been travelling is amazing. His confidence has grown immensely. As a family we get to spend so much time together. If we have any family problems or fights they get dealt with immediately because you can’t travel for nine months with tension in the air! And even if they don’t remember all of it. Who cares? I’ll remember it as one of the most amazing experiences of my life! My parents never travelled longer than a few weeks, but they especially took us kids on holidays that were further away and require to travel by plane when we were young! Nowadays (I’m 18 now), we mostly go camping in mountain areas , which is also fun, but when we didn’t go to school yet we went to Spain, Turkey, Greece, France, Scotland etcetera by plane, because we could go outside of the high season and not be bound by school holidays! And I don’t remember everything, but that doesn’t really matter, I think. I do remember being in Turkey, small things like getting Nazar pins to protect us little children for the evil eye, sliding of a boat in the sea and my baby brother being taken care of by everyone especially if we were in a restaurant, the staff would just take him so my parents could eat in peace, haha. My parents also took me to Scotland (by boat) when I was a couple months old, and they could some strange looks, like what are you doing with such a young baby?! To be fair I was born 2 months premature so I looked like a newborn, but it kinda shows how people view travelling with a baby.